NIFS Nutrition News: Get back on track! Have you fallen off track from your New Year’s resolutions and need a kick start back in the right direction? Since it's National Nutrition Month® it is the perfect time to regain focus on healthy eating behaviors! Getting back into a healthy routine does not mean seeking out the next fad diet, but learning to enjoy healthy and nutritious food. The Academy of Nutrition and Dietetics’ team of top nutrition and food professionals develop a once a year campaign to promote healthy eating behaviors with many different resources, games, and reading lists. This year the Academy is focusing on ways to help you create healthy, enjoyable meals following the Dietary Guidelines! Small baked potato topped with salsa and 1 ounce low-fat cheese. Toaster waffle topped with ½ cup blueberries and 2 tablespoons low-fat yogurt. Six whole-wheat crackers and one slice low-fat Colby cheese. Fruit smoothie: Blend 1 cup fat-free milk, ½ cup frozen strawberries and ½ banana. One 6-inch flour tortilla with ¼ cup black beans and 2 tablespoons fresh salsa. Quick-to-fix salad: 2 cups mixed greens with ½ cup mandarin oranges, 1 tablespoon sliced almonds and 2 tablespoons reduced-fat dressing. Never skip breakfast - A cup of coffee should not be the only thing you consume for breakfast! Instead, your breakfast should include some lean protein such as turkey or chicken as well as whole grains and fruit. 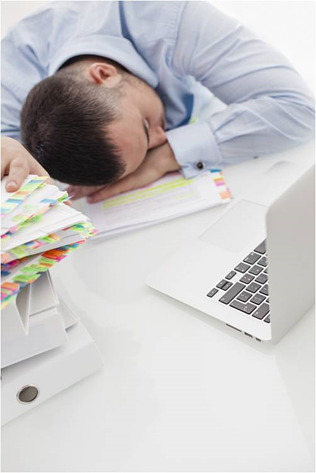 These small changes will help increase your morning energy level! Control your portion sizes - Measure out a cup of your favorite food to see how much you are eating compared to the recommended serving size. This will help you understand how much you are eating in one sitting! Be more active throughout the day - This does not mean you need to go to the gym, or set an hour of your time aside to work out in order to increase your physical activity. It is as simple as parking in the back of the parking lot, always taking the stairs, or taking a walk with your family after dinner. Increasing your steps per day can result in an increase in positive health benefits-aim for 10,000 steps a day! Finally, consider making other small modifications to your eating behavior. In order to begin creating healthy meals following the Dietary Guidelines! 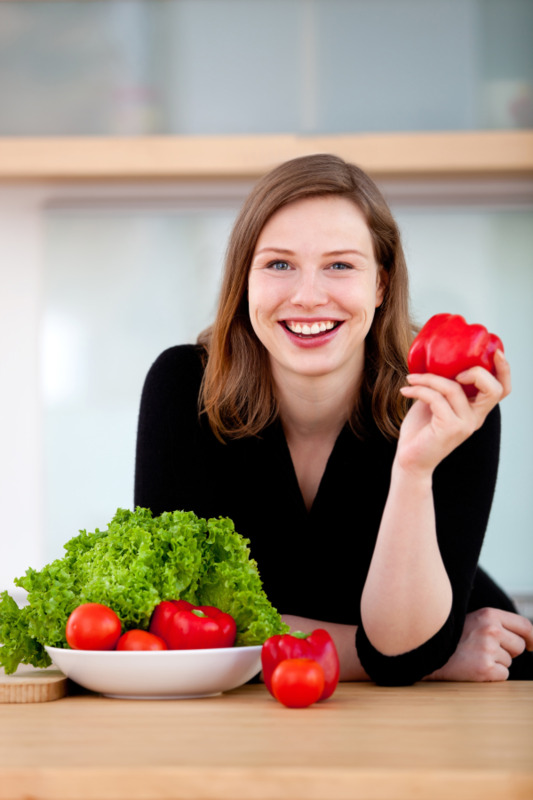 Click here for healthy recipes provided by the Academy of Nutrition and Dietetics. 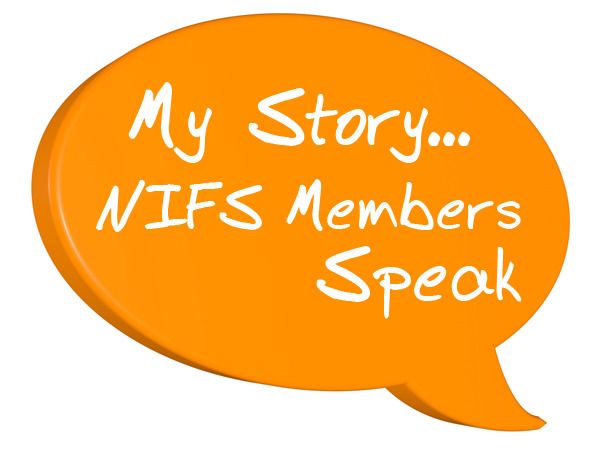 Interested in speaking with a NIFS Registered Dietitian, contact Angie Scheetz at NIFS. Ten years ago I decided to run my first half marathon. I have never been much of a runner, so I wanted to challenge myself. I went straight to my local department store and bought a new pair of shoes and hit the pavement. After a few weeks, I started to notice some knee pain. It got worse as I went into longer runs and eventually my back started getting the aches as well. When the pain became too much, I went to see my physician. His first reaction was for me to buy new shoes and a pair of inserts. Could this really be the only reason for my excruciating pain? I went to a running store and had my foot analyzed, ran on a treadmill, and tried on a new pair of kicks. I found the right fit according to the employees along with inserts for extra support. Then I went back to my training. The pain magically went away and I was able to complete my half marathon with ease. Turns out, since I am a woman with hips, my knees were curving inwards as I ran. Without the extra support for my arch to straighten me out, it was causing the pain. Moral of the story? Get the right shoes for you. Every activity requires a different type of footwear. 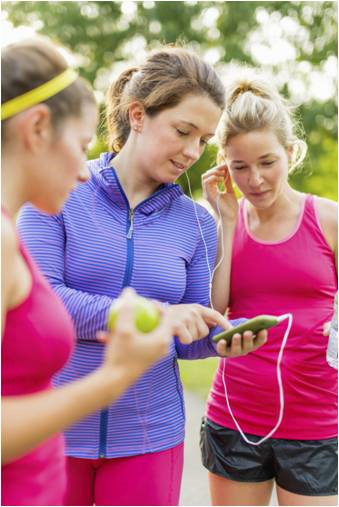 Make sure that you are coordinating properly for your exercise whether it's in your corporate wellness center, or out in your neighborhood. What is your foot type? Normal, flat, or high-arched? What kind of stride do you have? Do you over pronate and roll your foot inward, or do you under pronate and not roll your foot in enough? Or is your stride normal? An employee at a fitness store near you will be able to help you get these answers and find the best fit. Make sure you run around the store to make sure it’s comfortable. Wiggle your toes and make sure you have enough room. Try to avoid an all-purpose shoe. This won’t give you the right backing for each activity. 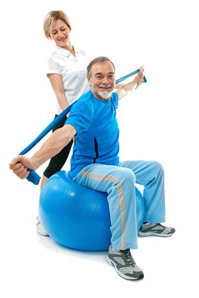 Running, walking, hiking, and other sports all have different criteria and need different support. 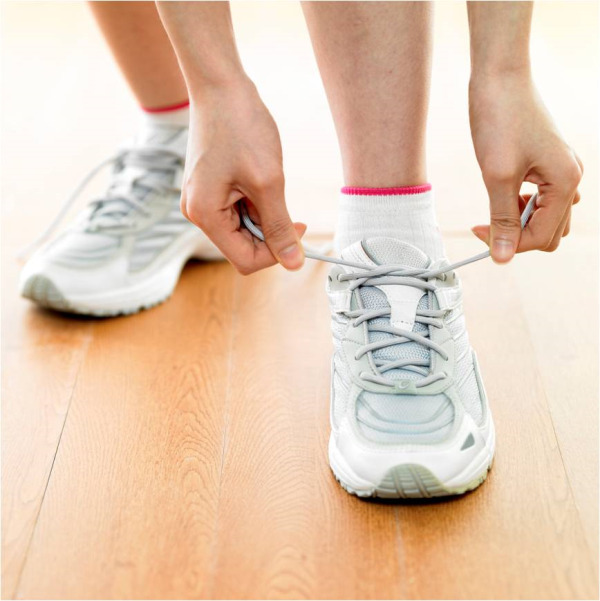 Having a proper shoe for each activity will help with comfort and prevent injuries and pain. It is also important to replace your shoes every 300-500 miles. Pay attention to how the shoe feels as you go. If you aren’t getting the same support, it might be time to get a new pair. It never hurts to have your foot analyzed each store visit and to try different shoe brands. They are constantly evolving with new options. Lace up and be pain free! The Food and Drug Administration is announcing the biggest overhaul to Nutrition Facts labels since 1994. The new labels are geared toward society’s evolution in nutrition and dietary recommendations that have occurred over the past 20 years. 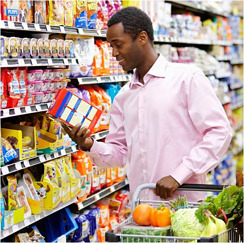 Some of the biggest proposed changes include an adjustment to the serving size, making calorie counts more prominent to consumers, exposing any added sugar, and declaring nutrients such as Calcium and Vitamin D.
According to leading experts, the change in serving size will become “more realistic” since consumers are now eating more than two decades ago. For example, ½ C serving of ice cream will turn to 1c. This does not mean that we should consume more, but just make people aware of what they are actually consuming. A bottled beverage, such as soda, needs to provide accurate nutritional information for the entire bottle, not split between multiple servings. If someone buys a bottle, they are going to drink the whole thing, not measure out a serving. A larger, bold font will be used in regards to calorie count at the top of each label. Consumers won’t be able to miss this one, as the FDA hopes this will have a true impact. By making packages easier to read, there is a good change the obesity rate will decrease, according to a recent study, which analyzed the positive effects of reading nutrition labels to lower overall BMI. Currently Americans are consuming more added sugars that ever before. With an astounding 23 teaspoons per day, compared to the 6-9teaspoon recommendation from the American Heart Association. Have you checked the label of some of your favorite items? People may be taking in close to 15 teaspoons of added sugar just from one soda. It is very difficult to know how much of this added sugar is in the things we love to eat with the current information on nutrition labels. For example, you may see 18g of sugar in a container of yogurt. However some of this sugar is naturally occurring, which means it cannot be removed, like milk sugar, or fruit sugar. The problem is what is being added. Added sugars are NOT the same as natural sugar and they need to be distinguished on labels. Added sugars have been linked to many health issues such as heart disease or diabetes. Having an idea of such sugars will help consumers make more conscious choices. New labels will also include facts on nutrients such as Vitamin D, Calcium, and Potassium. 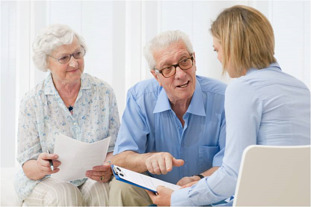 Facts such as these may help consumers to reach their Daily Recommended Values of such nutrients, as society as a whole is lacking in this department. These new labels should be much simpler for consumers to understand as they rush though the aisles of their local grocery store in their busy schedules. There will be a 90 day public comment period about the changes, followed by a final ruling on label changes. If proposed changes are adopted, they will be phased in over the course of the next 2 years. What do you think of these new changes to the nutrition facts label? 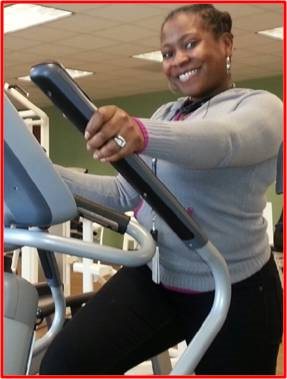 Aziza joined the Wellness Center when she started her employment in September. In three months she referred four new members to our Corporate Wellness Center and she says she is working on more. I am thrilled to have her as ambassador member of the Wellness Center and also admire her ability to motivate herself and her associates to get more active. Here is her story and hopefully she’ll get you motivated to get moving too. “I come to the Wellness Center two times per day and right now my motivation is weight loss. When joined Weight Watchers® I realized how important activity was for my goal. Plus the gym is free, so there are NO EXCUSES.” My friends and associates who frequently join me in the Wellness Center are doing Weight Watchers® too. To help motivate them I try to let my actions be an example of my dedication to be fit and healthy. As I tell my friends, “we work in a company that is about wellness, and we have so many resources that we didn’t have before coming to WellPoint so why not take advantage of them?” I also tell them, something is better than nothing. My motivation to get active started when I joined a kickball team in the fall. I loved playing but I hated the feeling of being out of breath. I knew something had to give. While the team was on a break during the winter I wanted to improve my endurance but I knew it wouldn’t happen overnight. I have a goal I want to accomplish by March (kickball time) and nothing and no one is going to stop me. My plan is to stay active, stick to Weight Watchers®, and drink more water while also cutting back on sweets, junk, and “the white stuff”. It sounds like Aziza has put a lot of thought into what she wants to accomplish and uses this to maintain her motivation. Need motivation like Aziza? Ask yourself exactly why you want to accomplish and determine exactly what actions must be taken to get there. Start with the smallest action to get going.